Hey there! 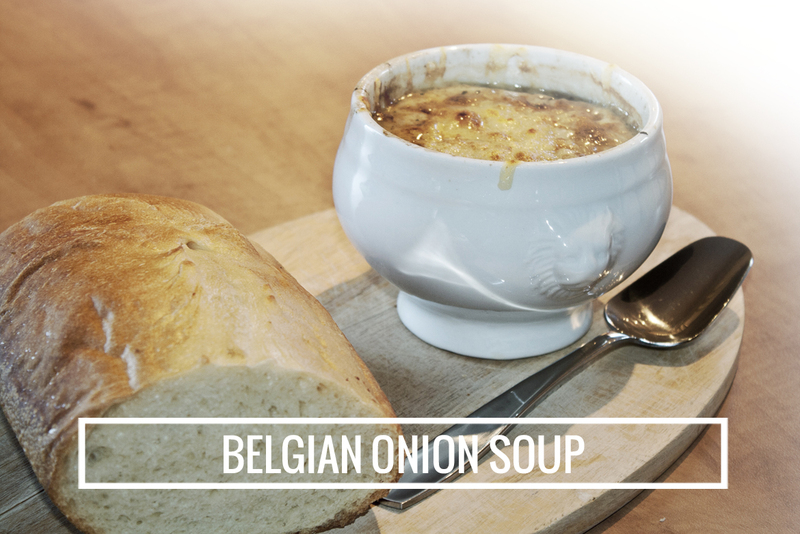 Today, I am presenting you one my favorite comfort food in the winter season, with a personnal touch, a belgian twist! ha! There’s absolutely nothing like a delicous warm soup when we’re back from a cold day out. The onion soup is also the most heart-warming to me, but this one is special. I replaced white wine (too french! ), by Belgian Dark Ale. hmmm! A pure delight ! Deglaze with beer while scraping the bottom of the pot. Add the broth and the bouquet garni. Season to taste with salt and pepper. Bring to a boil, reduce heat, and simmer for 25 minutes. Preheat over to 200 °C (400 °F). Bake the bread on a baking sheet in the oven. Pour the soup in 4 bowls. place a piece of bread on each and cover with cheese. Notify me of followup comments via e-mail. You can also <a href='http://coloursandbeyond.com/comment-subscriptions?srp=2402&srk=&sra=s&srsrc=f'>subscribe</a> without commenting.